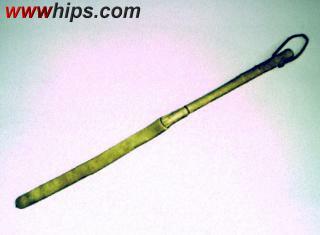 A typical riding whip used by Argentine gauchos. A whitehide slapper is fastened to a heavy handle. Both the loud noise and the sting will draw the horse´s attention.